When my career ended and like most guys I realized I wasn’t going to dethrone John Stockton in the NBA I needed the find a job. My mother got me a job at EF an International educational company in Boston, I lasted four days and on the fifth day I retired, bought a lottery ticket and won $429 dollars ( true story I swear). Once that money ran out I needed to figure out what was next. Fortunately for me my old man has always preached to me that doing something you were passionate about was the most important thing! I got into coaching as a volunteer assistant at my alma mater, Tufts (well not entirely a volunteer- I made $300 dollars which was our recruiting budget back in 1993) . In addition to coaching I became a substitute teacher, a bartender and an official for high school soccer and basketball . After my first year Bob Sheldon the legendary coach of Tufts hired me as a grad assistant and I was able to add fitness center supervisor and equipment room responsibilities to my above mentioned tasks. After 3 years at Tufts and earning a Master’s degree I was fortunate that I was hired as an assistant at Stonehill College by Dave Deciantis (for a little trivia the guy I shared an office with was Ed Cooley who has done a remarkable job at Providence). The job at Stonehill only paid 6k and I had a 40 mile commute each way so I got my real estate license and unsuccessfully tried to peddle real estate for the year. That summer I lectured at The Northeastern University Basketball Camp led by the late Coach Rudy Keeling and he was looking for someone to work with his perimeter players. One thing led to another and I was hired in that fall at Northeastern. I’ll also tell you I took about a $20k pay cut to get on staff but knew I had to do it. Wow! Honestly my wife is a SAINT! As most of you know or will know soon enough this is a great game but at times a bad business. Moving is usually necessary but not EASY for family but it is part of one’s journey! The other things I realized along the way is that: 1. You don’t know as much as you think you know 2. Every task is important 3. There are super coaches assistants and support staff people at every level and they all have something you can take from to improve yourself 4. Lastly I learned that when you win everyone gains! As I reflect on my journey and goals I realize that hard work, friends and good fortune play a big part in this profession and there is also no one clear path to the next destination. I’m always fascinated to hear how guys have ended up from one spot to another on their journey . The last thing I’ll briefly leave you with (I’ve rambled too long as is) is that sports is humbling and that you have to build and work at it everyday. In 2011 I was on a staff that won 29 games, in 2012 I led a program that lost 31 times and in 2013 helped that same program win 18 games. How that happened we will save for the next post if Coach Lanier asks for it………. 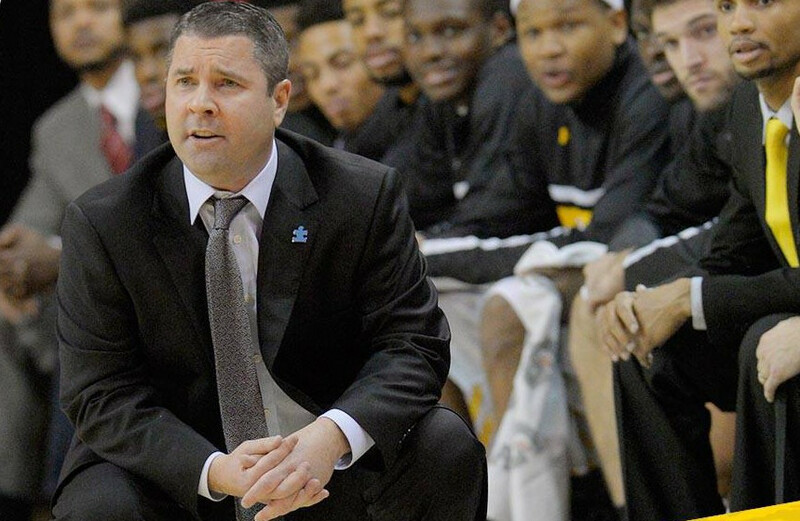 Pat Skerry has turned Towson into a winner, posting three 20-win seasons in 6 years in addition to the 18-win season in 2012-13 which was one the all time great turn-arounds in College Basketball History. It also landed coach Skerry the 2013 Colonial Athletic Association Coach of the Year Award. Coach Skerry is also noted for his campaign to raise Awareness about Autism. Additionally, since this article is written by Coach Skerry in his words we would also like to encourage readers to go back and re-read it with a Boston Accent.